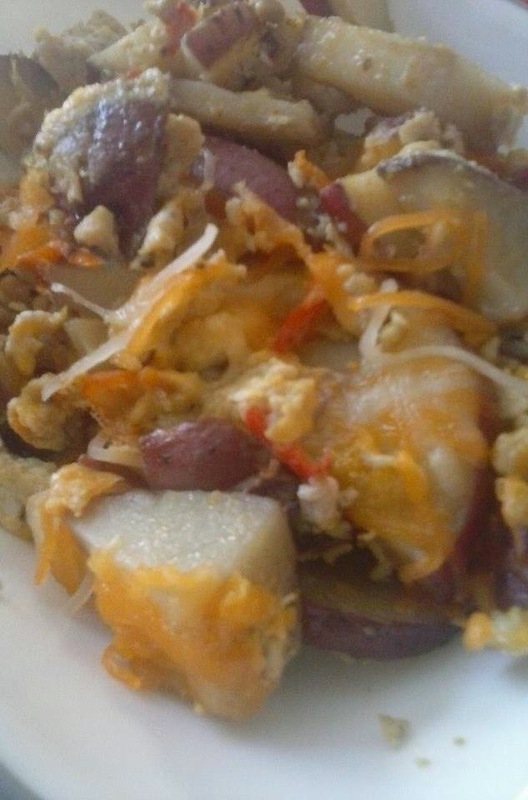 The Peculiar Treasure: Giant Potato Scramble of Awesomeness! Giant Potato Scramble of Awesomeness! Taylor and I had been a little off schedule this past week. We had been eating breakfast at 10 or 11 and then having lunch at around 2 or 3, but then still eating dinner at 5 or 6. Definitely not our normal schedule. But, out of this schedule madness came one of the yummiest breakfast scrambles I've ever had and now I must share! I started by quartering the potatoes and heating them in the microwave for 6 minutes. Next, in a large skillet on medium-high heat, stir together the olive oil, sweet peppers, onions, and spices. Cook until almost tender. 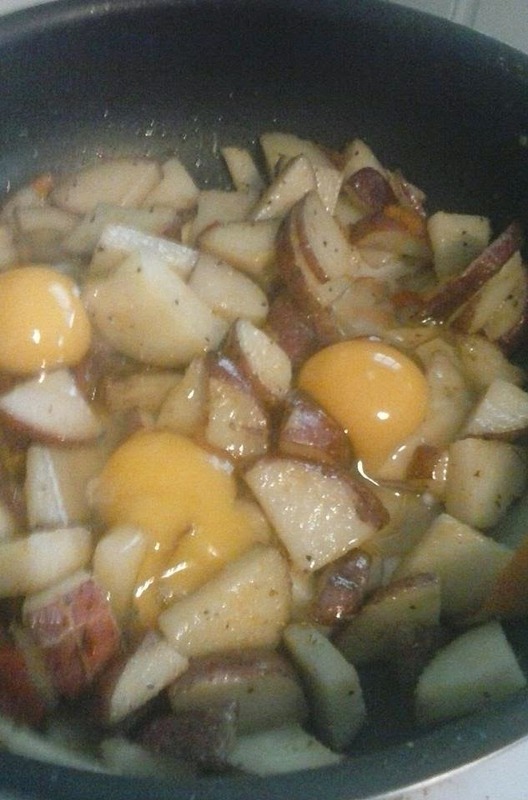 Add in potatoes and cook until browned. Add in eggs and stir them into the mixture. Let eggs cook thoroughly, turn off stove, and sprinkle the cheese on top. Let cool and enjoy!